Researchers think dinosaurs lived in jungles and forests during the Mesozoic era millions of years ago. 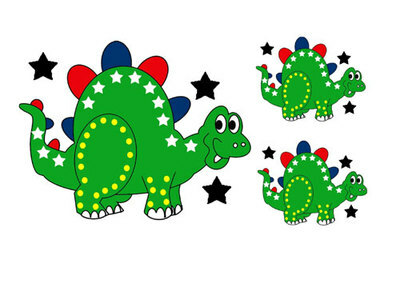 Download Dino stickers, wrapping paper and an image sheet for some dino-mite cutting and sticking fun! The bright fun colours will appeal to most age groups. 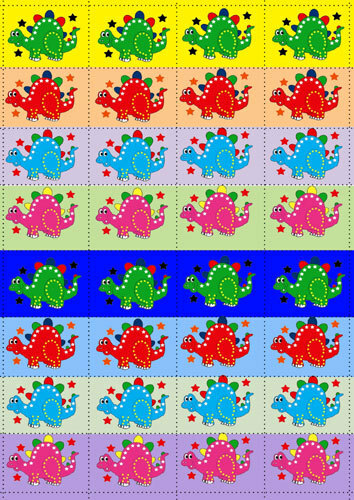 Pretend stamps for letter writing. Reward stickers for home and school. Page borders for scrapbooking or journals. 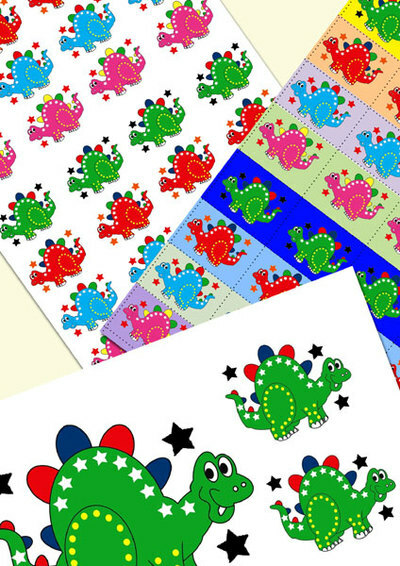 More stickers - stick an image on the right top corner of a piece of A5 paper for letter writing. Wall decor - cut out the large image, mount on card and frame. 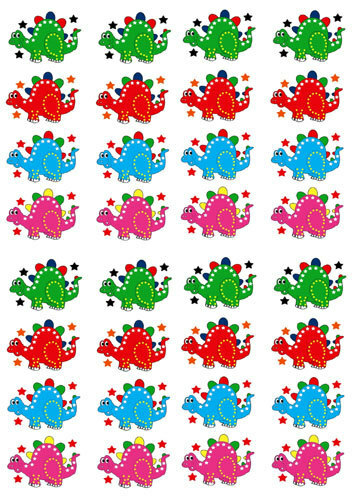 Dino-train - cut out two or more pages of the Green Dino Trio to make a Dino-Train border on a wall.